Good Italian cafe, run by real Italians. Espresso is by Lavazza – which I normally find bland – but well made. There are lots of nice seats and tables, with a few outside overlooking the Thames. If you’re walking between the London Eye and the Tate Modern, it’s one of the best places to stop for coffee. 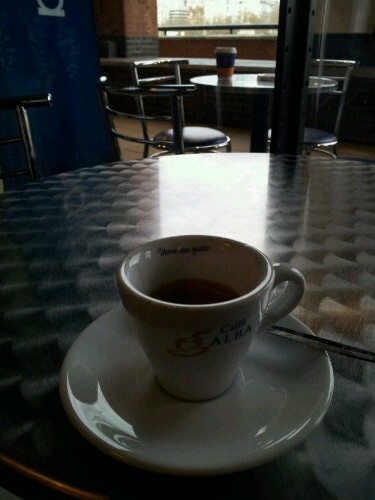 Posted on December 21, 2011 December 21, 2011 by espressolovinPosted in South LondonTagged coffee, coffee shops & cafes, London.